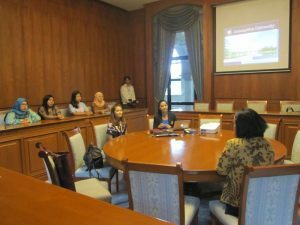 On November 1, 2017, student of Budi Luhur Academy of Secretary class of 2016 conducted a campus visit benchmark activity at Assumption University (ABAC) Bangkok, Thailand. 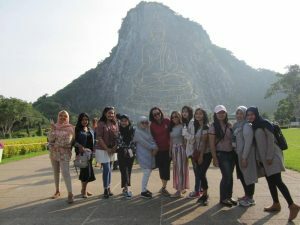 The event was attended by ten female students accompanied by Ms. Fenti Sofiani, S.Pd., M.M as Director of Budi Luhur Academy of Secretary and Ms. Eny Retnoningrum, S.Kom., M.M as Head of Student Affairs Sub. section of the Student Activity Unit section. The Budi Luhur group was greeted by Miss Gift Puntharee Israngkul na Ayudthaya as School Relations and Public Relations Assumption University of Thailand. 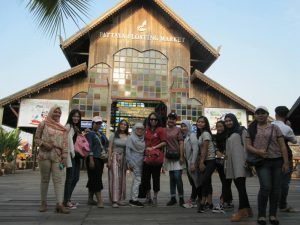 During this visit, Ms. Fenti introduced the Budi Luhur Academy of Secretary and informed the academic and non-academic curriculum and activities at the Budi Luhur Academy of Secretary. 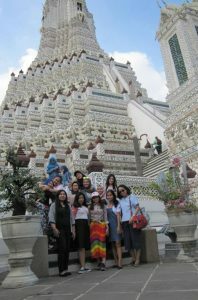 Miss Gift, also explains the courses and curriculum as well as the activities and cooperation undertaken at Assumption University. She also explained that already several campuses in the ASEAN region and internationally in collaboration with Assumption University. 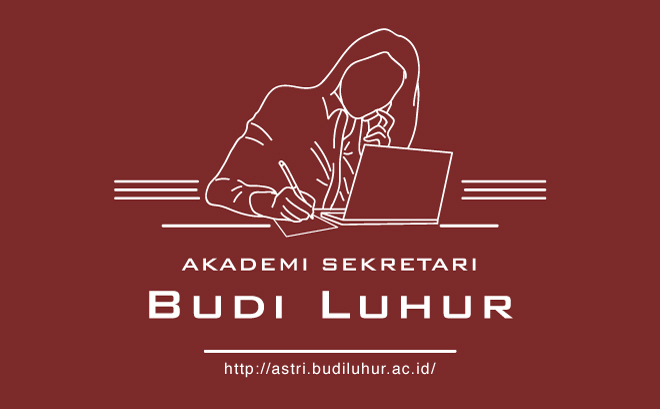 The second presentation of this educational institution was closed with the delivery of souvenirs and plaques from the Budi Luhur Academy of Secretary to Assumption University. 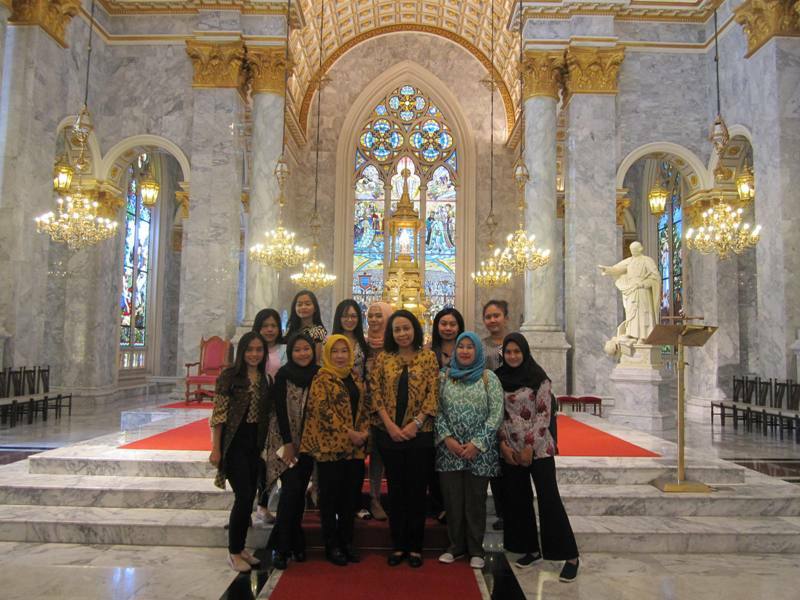 The group of students and lecturers of Budi Luhur Academy of Secretary got the opportunity to visit and witness the activities and facilities at Assumption University. Students were very enthusiastic about taking pictures while traveling around the vast campus by riding a campus tram or bus at Assumption University. The visit of the campus visit benchmark is part of a study tour of the Budi Luhur Academy of Secretary in Thailand where the entourage visits several tourist attractions in Bangkok and Pattaya, such as Laser Buddha, Wat Pho, Pattaya Floating Market, Art Paradise, Wat Arun, Nongnooch Village and Bee Farm. 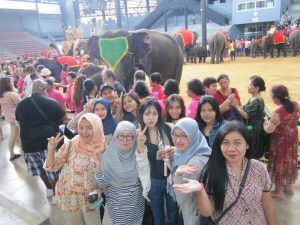 Entourage of course also visit the Platinum shopping center, and a place to buy souvenirs typical of Thailand. 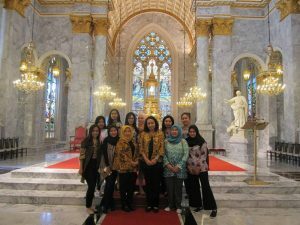 Hopefully the visit at Assumption University can continue on the cooperation note in terms of student exchange and other forms of cooperation.